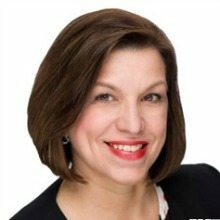 Audit, consulting, tax and advisory services provider Deloitte LLP named Diane Murray, principal at Deloitte Consulting LLP to be the new federal civilian leader. In this position, previously held by Dan Helfrich, Murray will be responsible for overseeing the largest sector within Deloitte’s federal government practice. While at Deloitte Murray has held various leadership positions including lead principal for Deloitte’s work with DISA and the IRS. She brings more than 18 years of consulting experience in both the public and private sectors to her new role. “Civilian agencies are responding to unparalleled change born out of the technology innovations from the past decade. With the right tools and processes in place, civilian agencies can embrace those innovations now and in the future. Federal leaders in these agencies have the vision – we can help them realize it by bringing our successes with commercial clients and making them applicable to their government mission,” stated Murray.